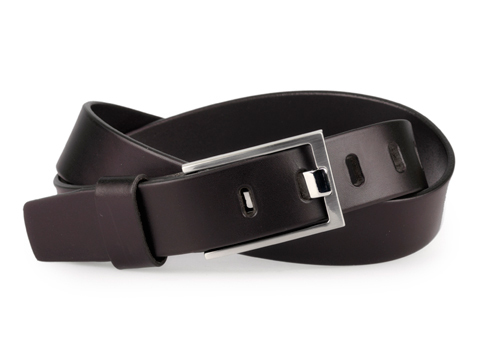 This belt is 34mm (1⅜″) wide and is made from high quality Italian leather. It has a long rectangular buckle which features a 10mm prong (tongue). The buckle is made from tough zinc alloy and comes in 2 finishes. This elegant belt is well suited for casual wear.